The race to sign Henrikh Mkhitaryan isn’t over yet. While Borussia Dortmund seem to be a little further ahead than Liverpool, the Premier League club is back in the running, matching the offer of the German side, hoping to be on equal footing with Shakhtar Donetsk. 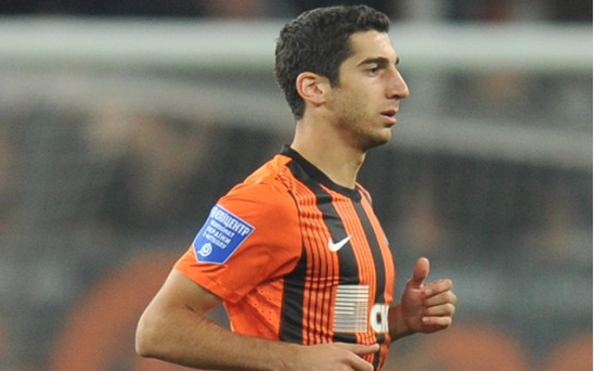 Over the weekend, it has been reported that Dortmund have either gotten an agreement with Shakhtar (for €30 million) or with Mkhitaryan himself, and now only need to settle things with the club. According to Sky Germany, Liverpool have offered €25 million, matching the actual Dortmund offer, making it now about Mkhitaryan and those surrounding him making up their mind about his next team. Shakhtar broke the cloud of uncertainty regarding Dortmund’s offer; chief executive Sergei Palkin denied any agreement with Dortmund for Mkhitaryan. Borussia have offered us €25 million – to us, this is not enough, but we are talking to the German club. There is a possibility that we will come to an agreement in the near future. So at the moment, there is some sort of negotiation going on between all three sides, with Shakhtar trying to bring the teams up to €30 million, although there is also the option for Mkhitaryan himself to break his contract and simply pay his club a smaller fee (around £19 million) to become free to join the club of his choosing. Bayern Munich used a similar clause last season to get Javi Martinez, giving him €40 million to purchase his own rights from Athletic Bilbao and complete the transfer that became a vital part of Bayern Munich winning the Champions League. While at Liverpool it’s still hard to define what role Mkhitaryan will play if he arrives, Brendan Rodgers will no doubt find a place for him in a squad filled with attacking midfielders who tend to drift wide and wingers who tend to drift into the middle. For Dortmund, Mkhitaryan is destined to replace Mario Gotze as the team’s attacking midfielder.